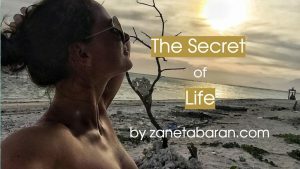 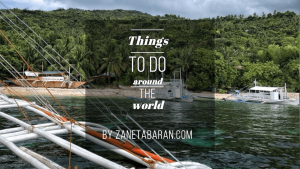 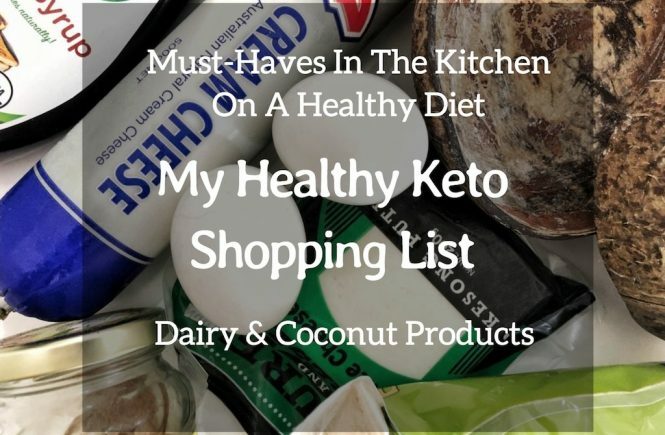 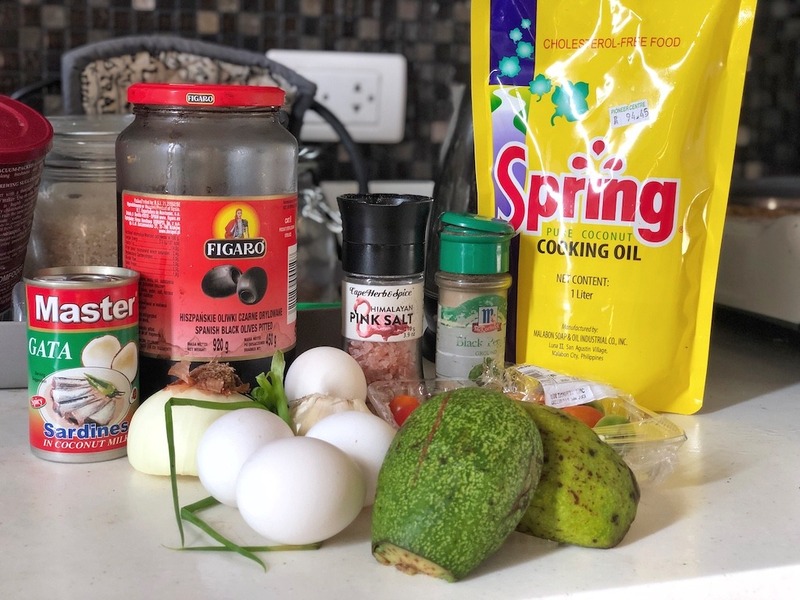 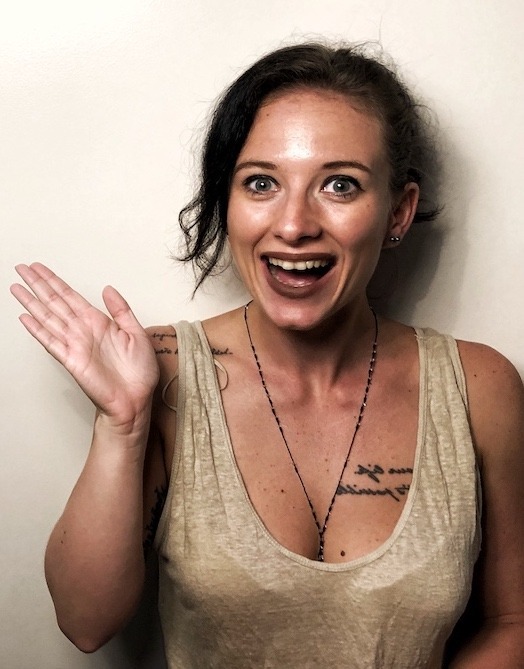 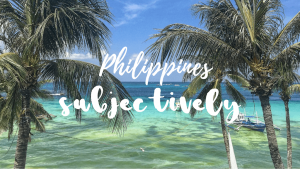 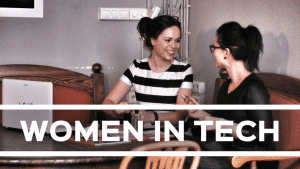 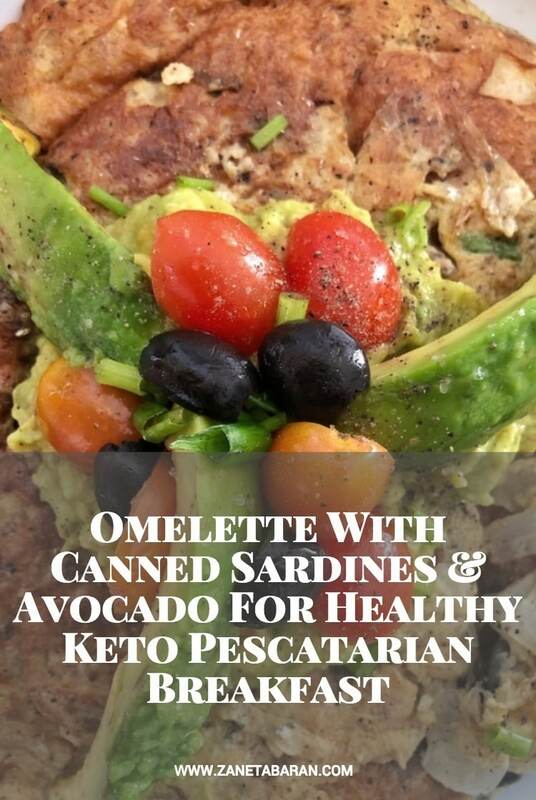 How to make sardines, avocado omelette – keto, pescatarian breakfast? 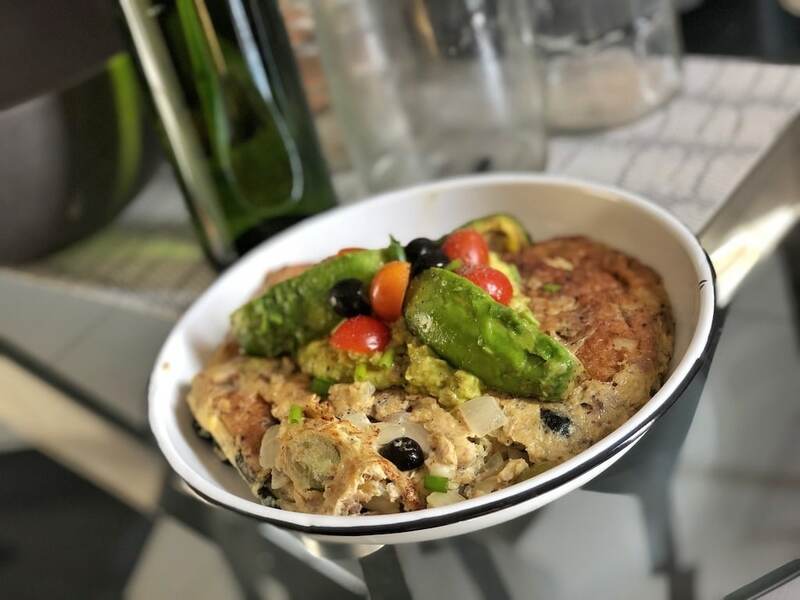 Since I have seen that most of my readers end up here because of one of my old recipe with sardines, I decided to share with you a little bit more ideas how you can use canned sardines. 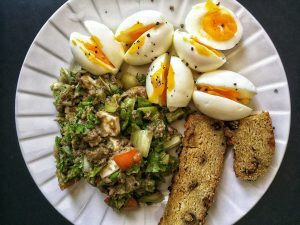 It is actually perfect timing since we came back to our old routine when we eat sardines as our first meal. 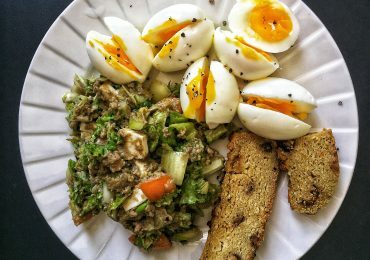 In this case, I need to be a little bit more creative to not eat the same simple dishes every day. 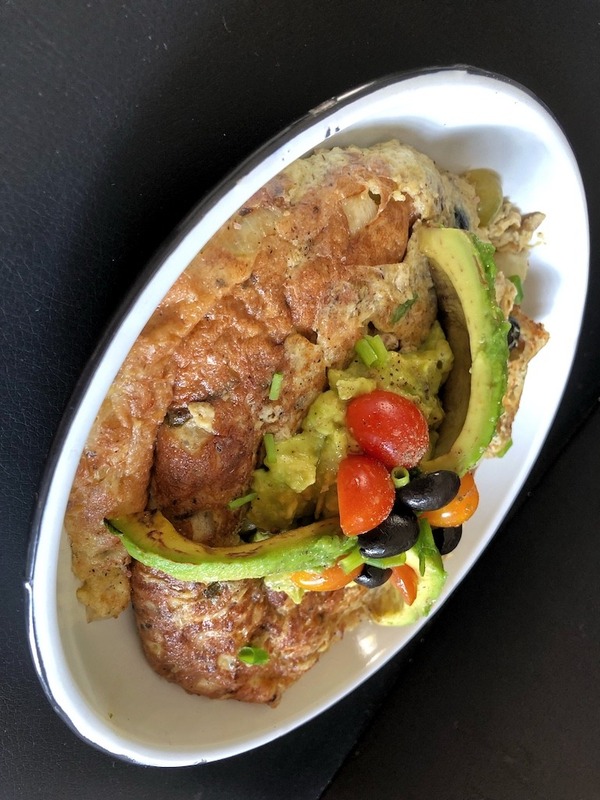 Today I would like to share with you my last night dinner – omelette with sardines and avocado. 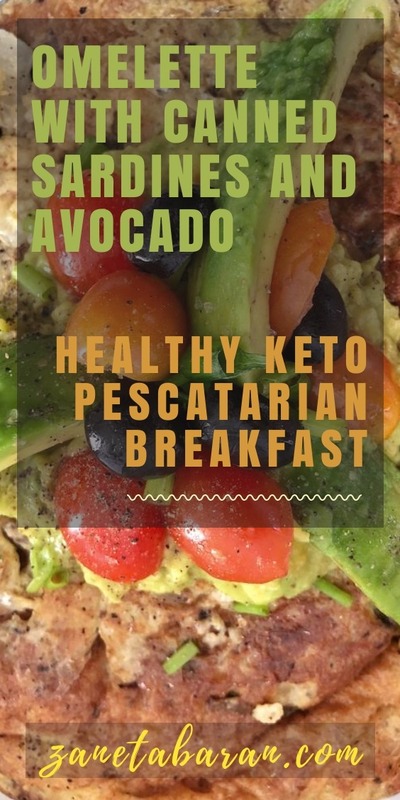 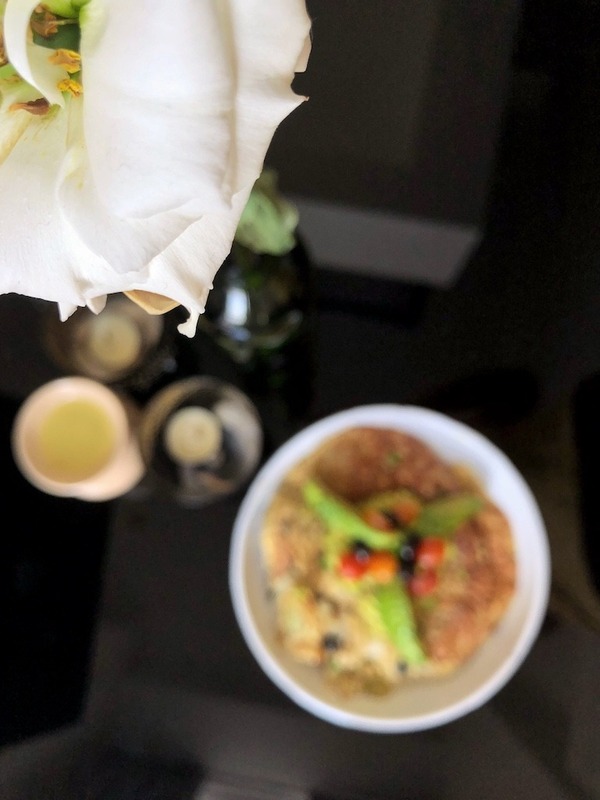 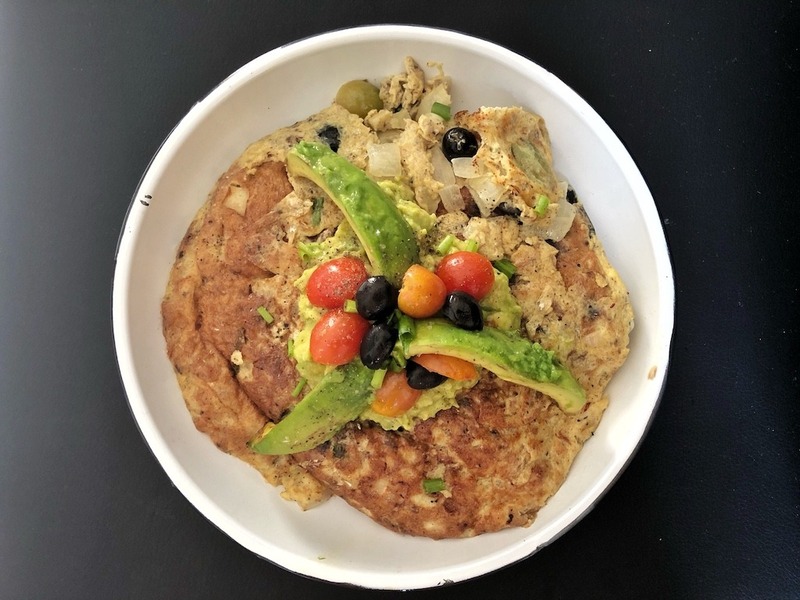 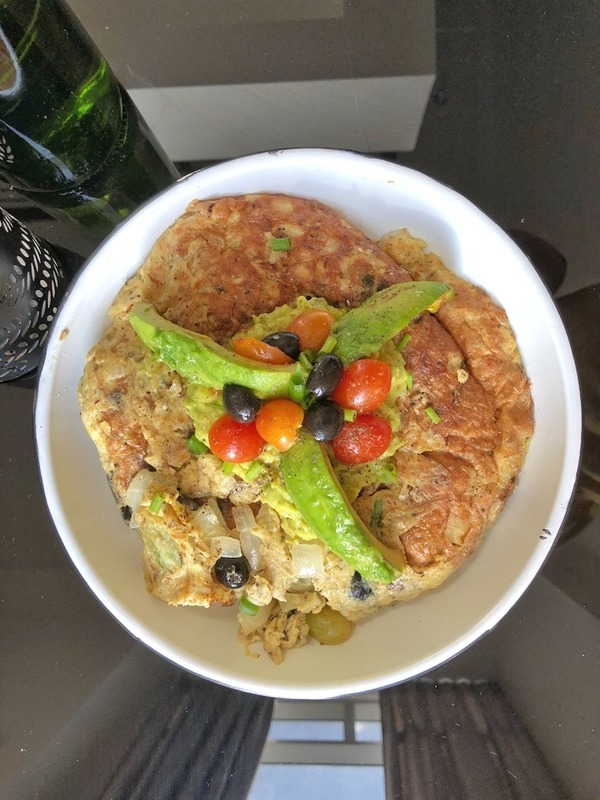 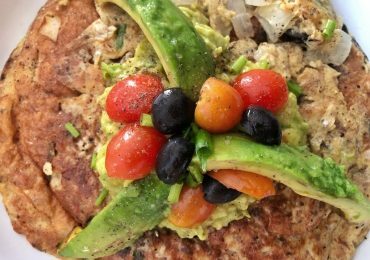 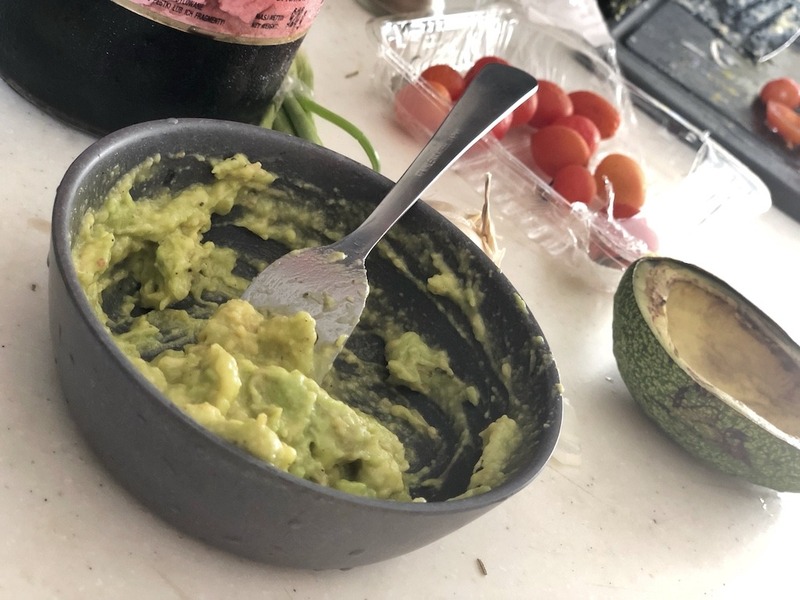 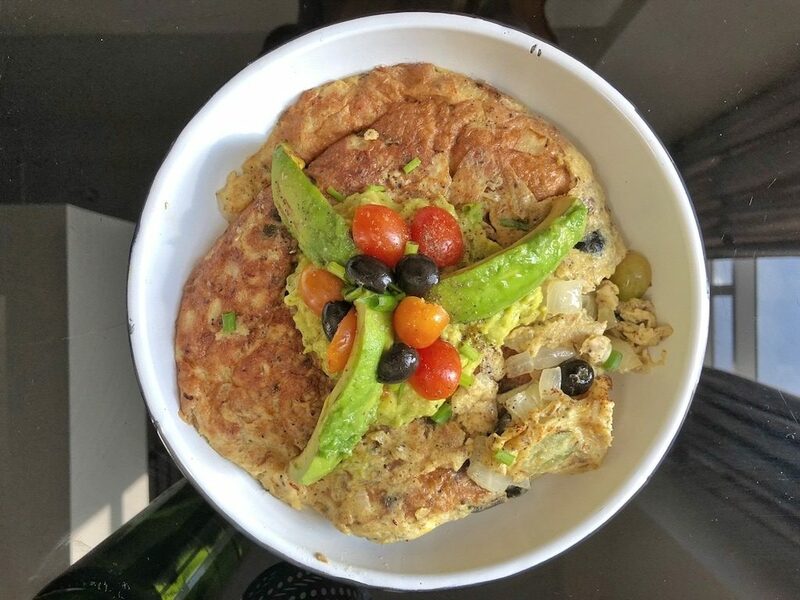 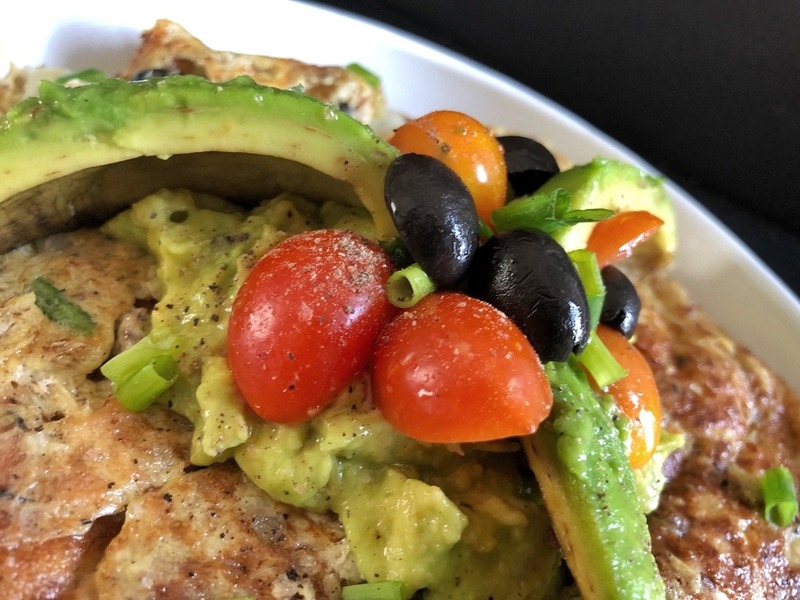 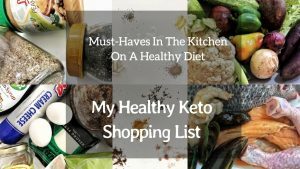 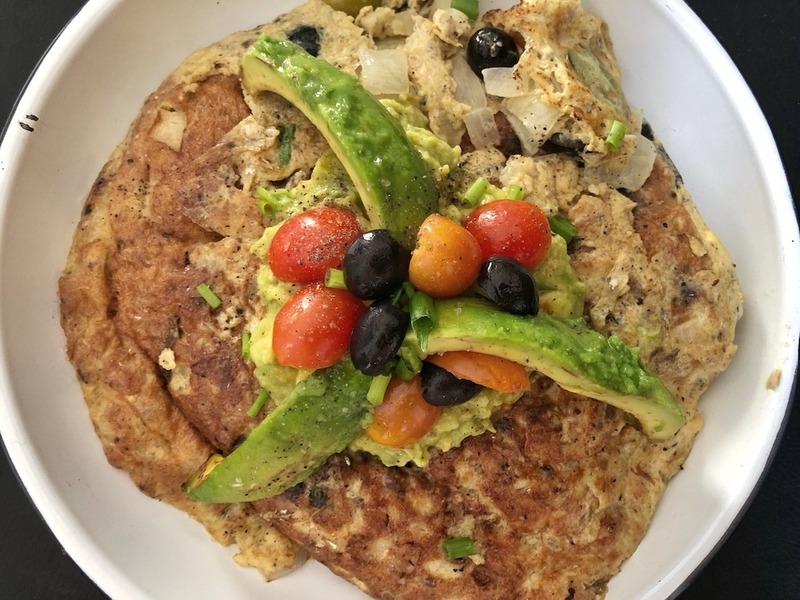 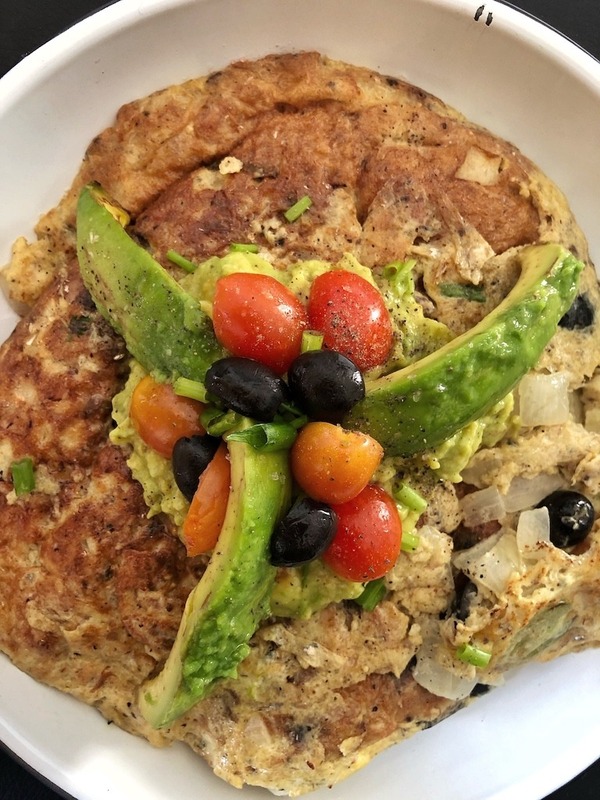 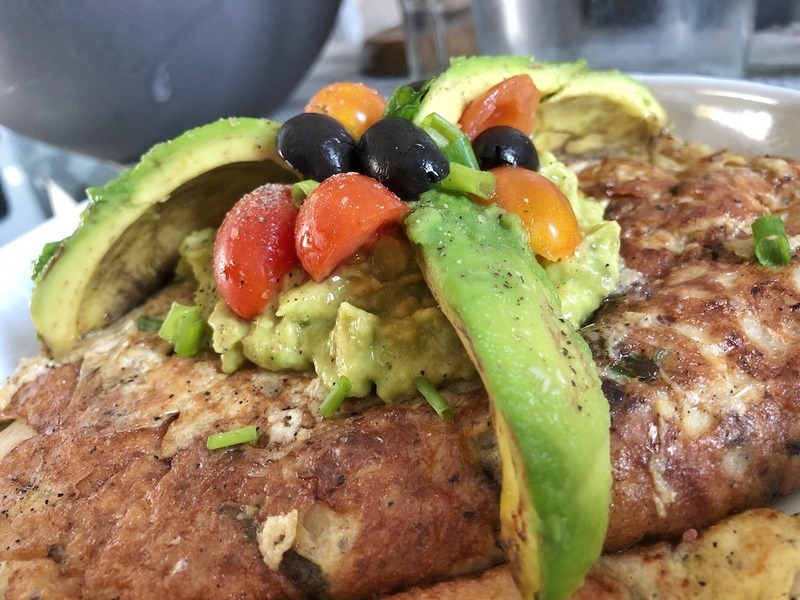 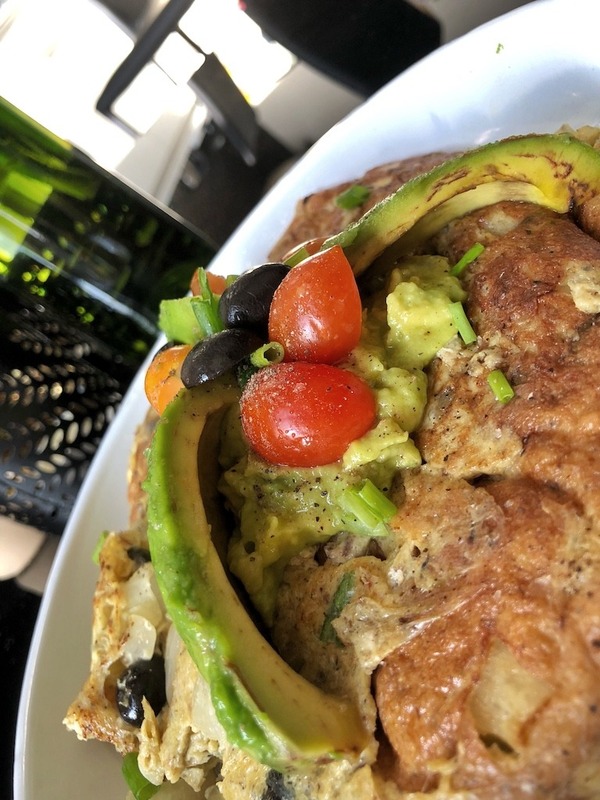 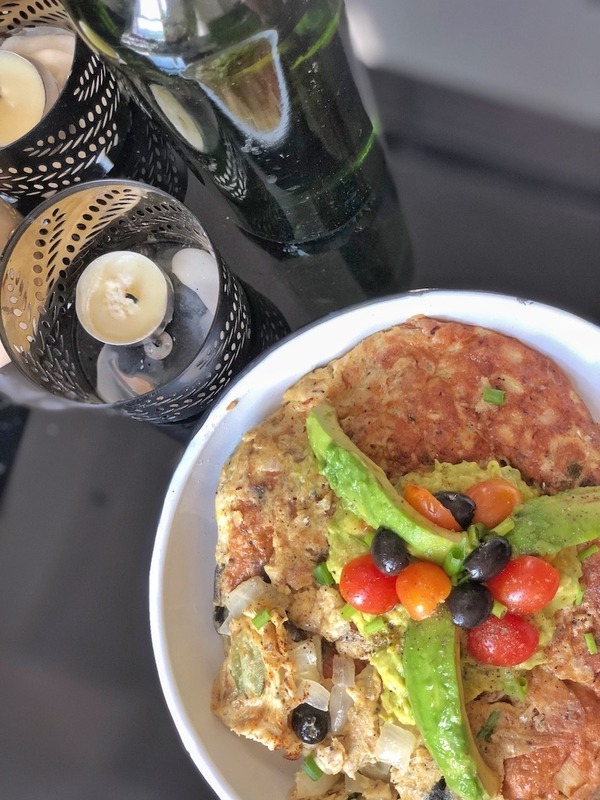 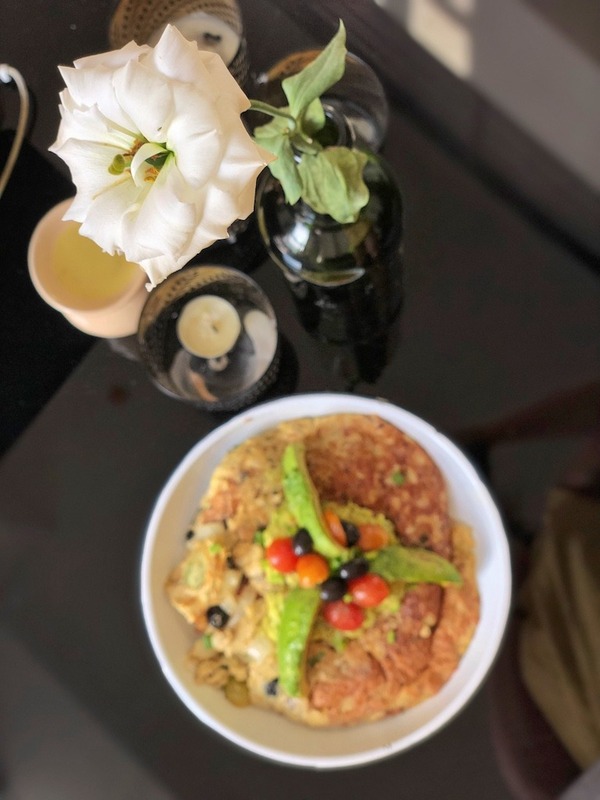 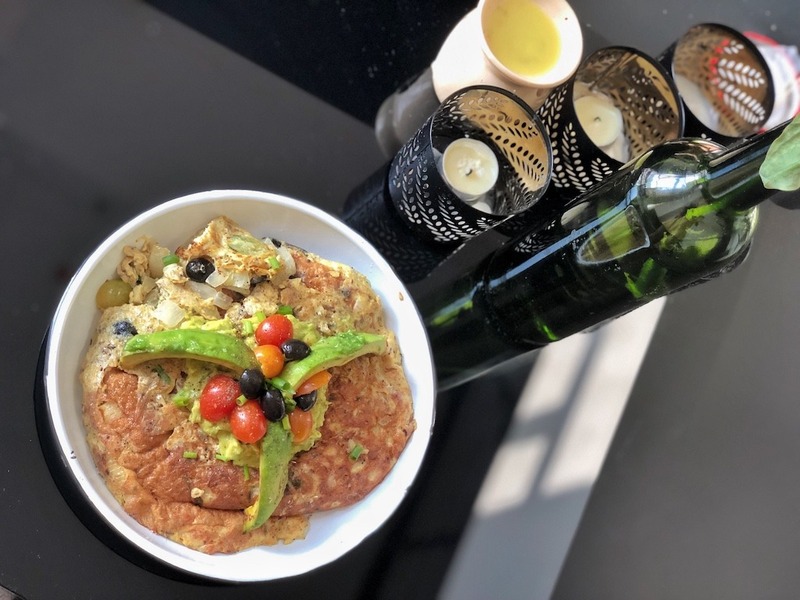 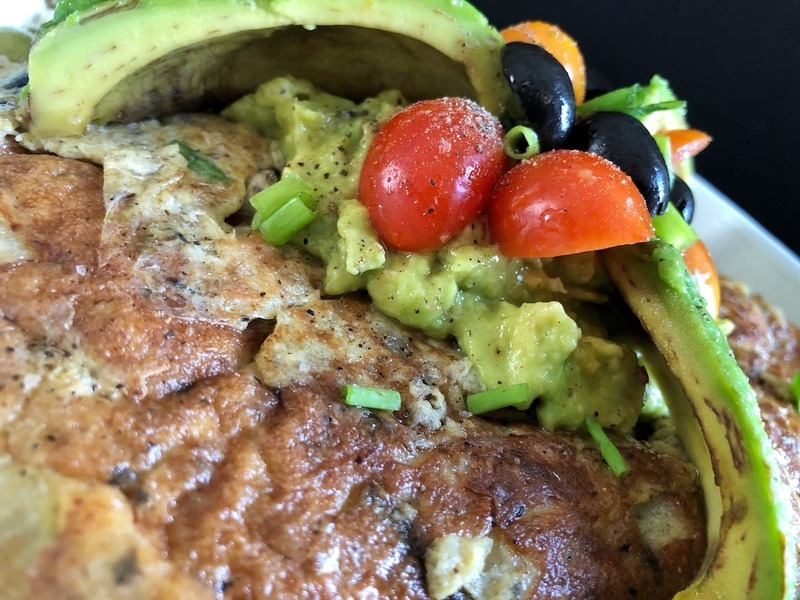 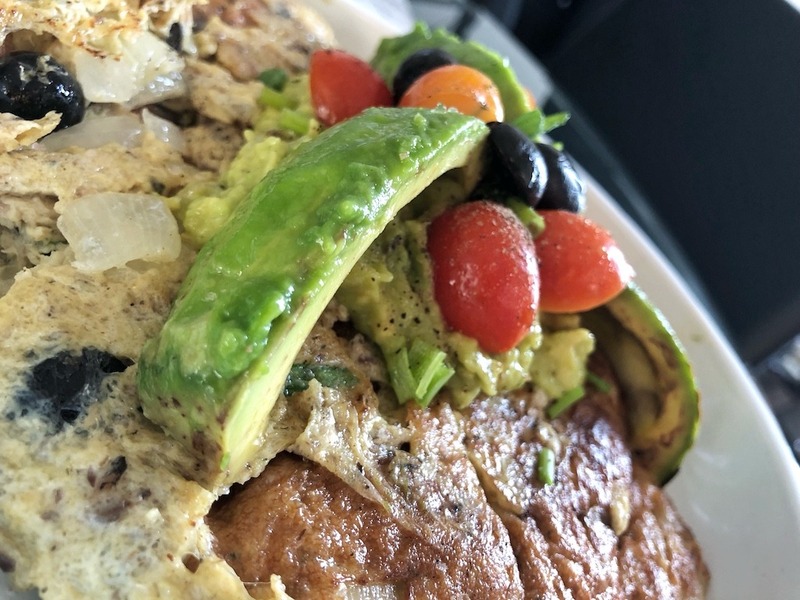 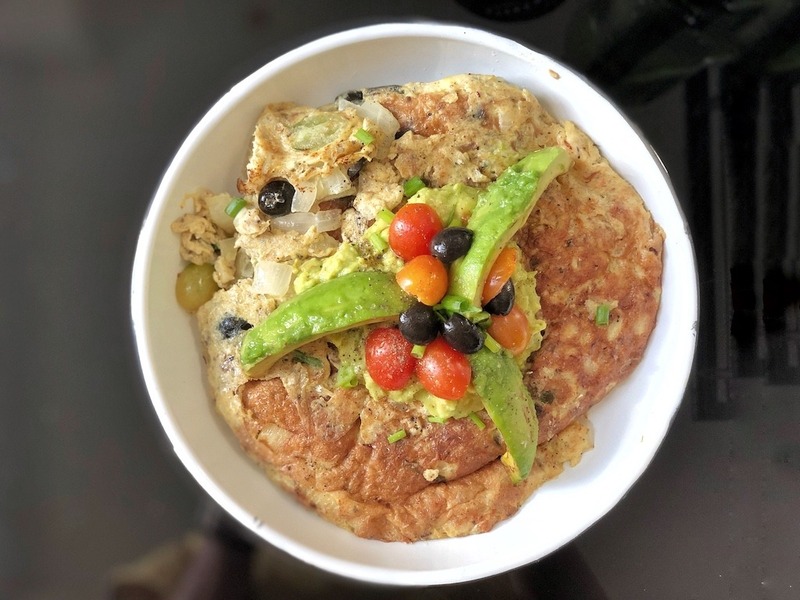 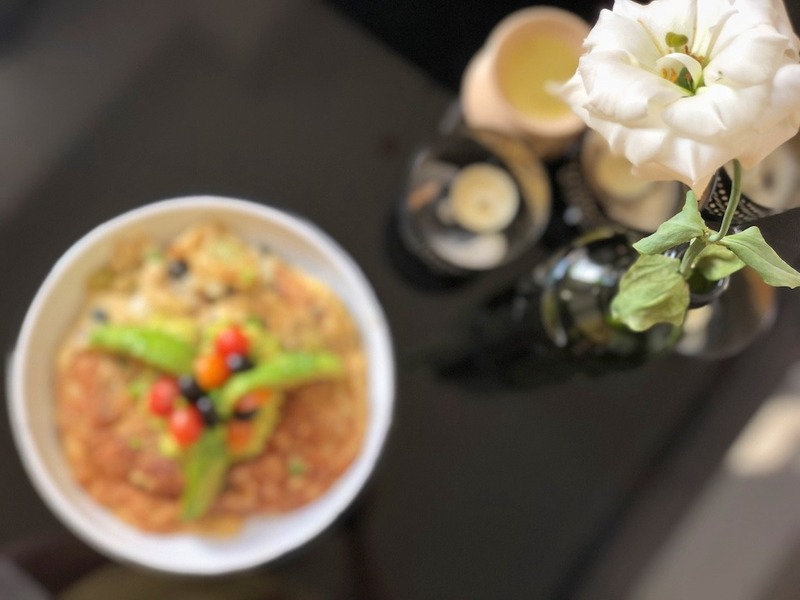 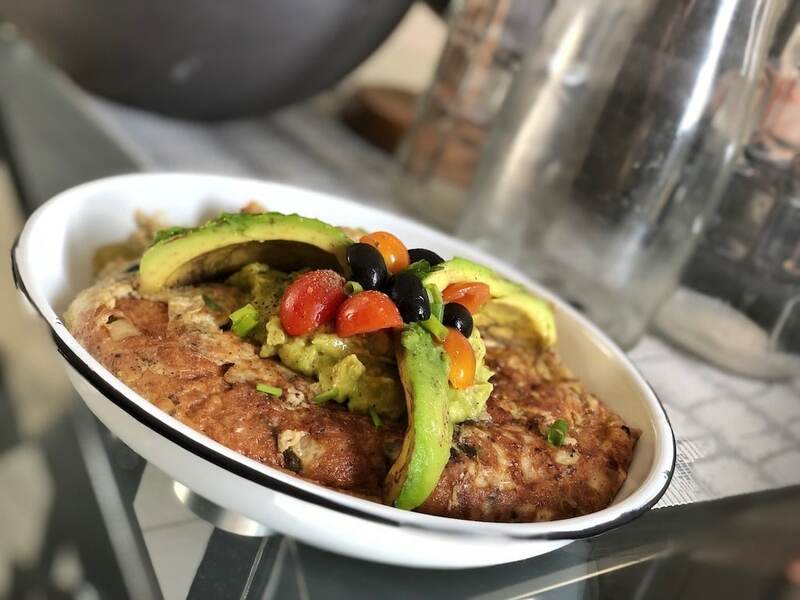 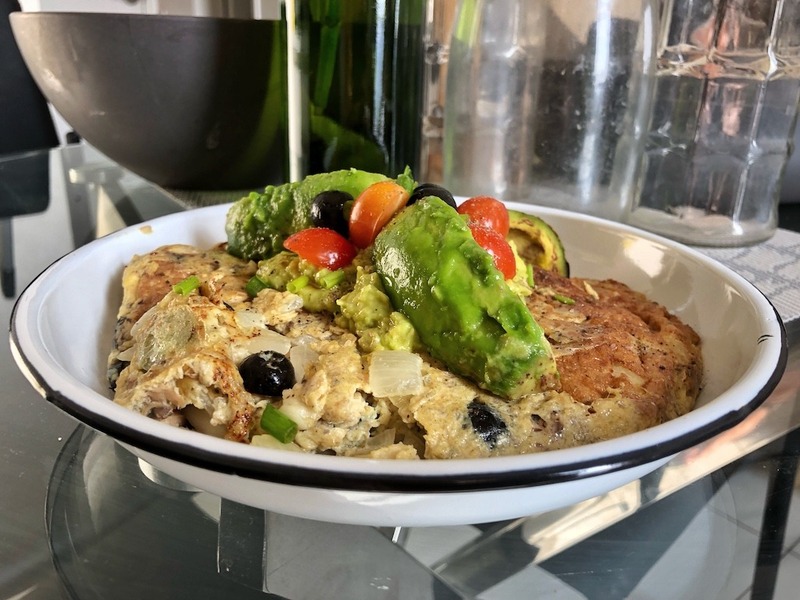 Let me know in the comments what do you think about sardines, avocado omelette – keto, pescatarian breakfast! 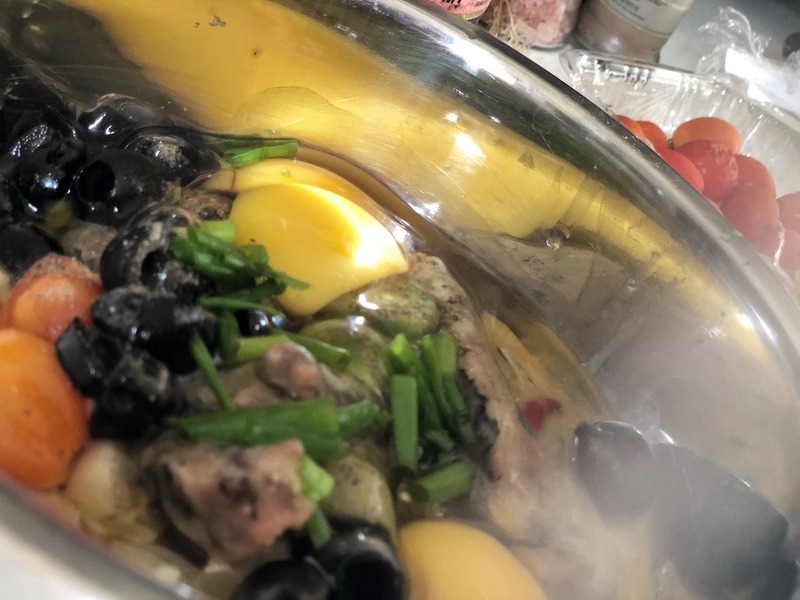 Slice cherry tomatoes and olives. 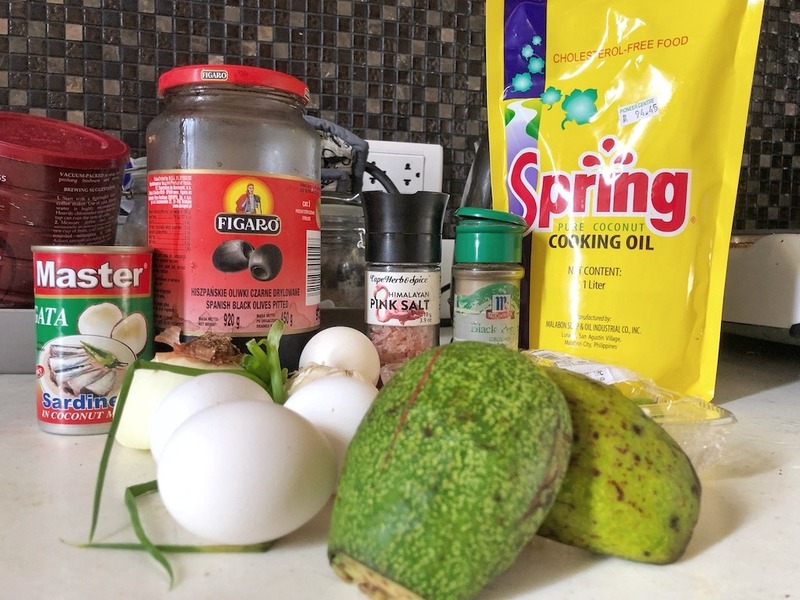 Preheat your pan with oil. 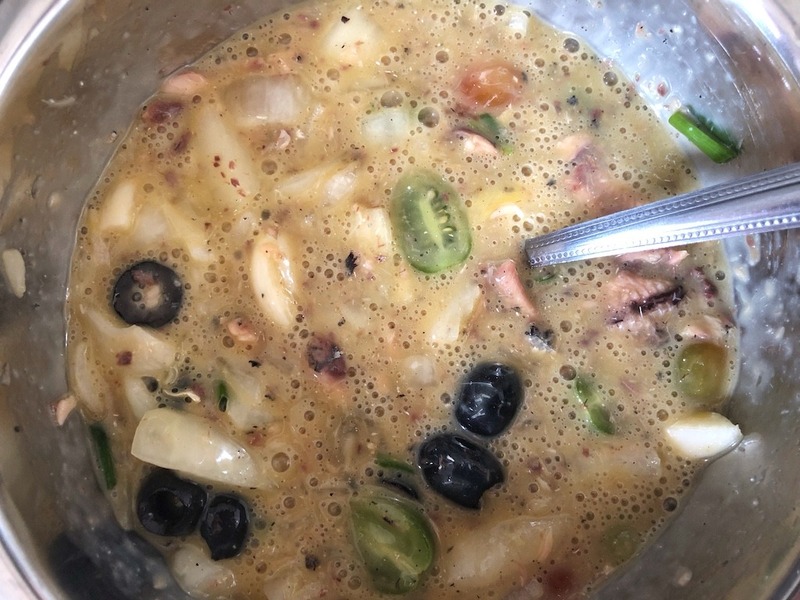 Transfer onion, tomatoes and olives to the bowl. 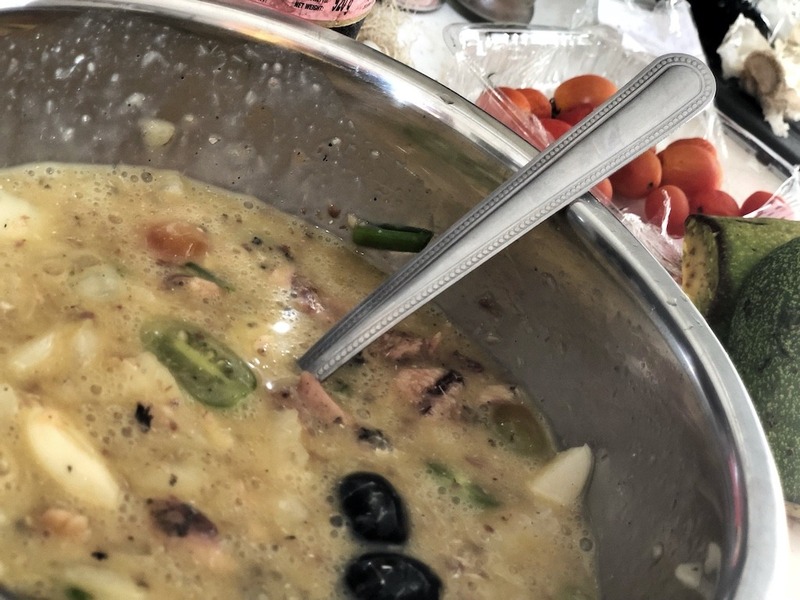 Add eggs, sardines, a few pinches of salt and pepper. 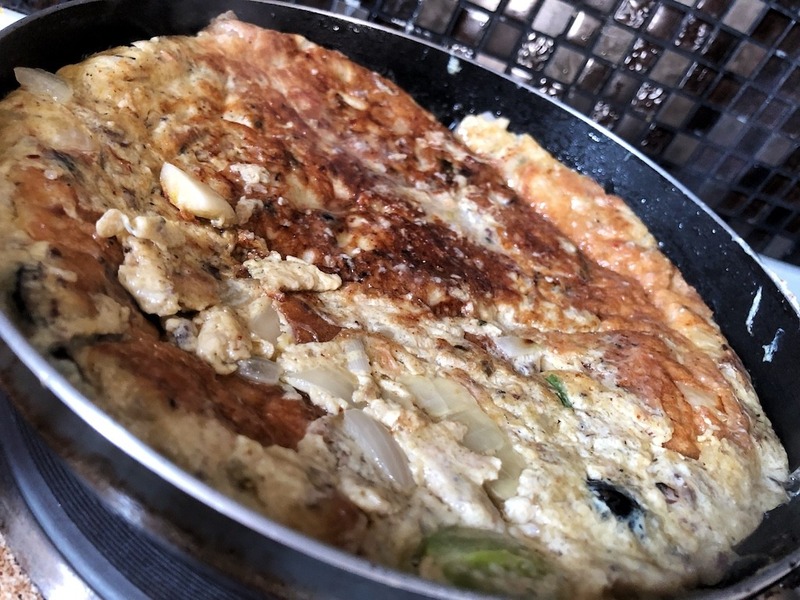 Transfer everything on the pan and fry around 4-5 minutes on the side. 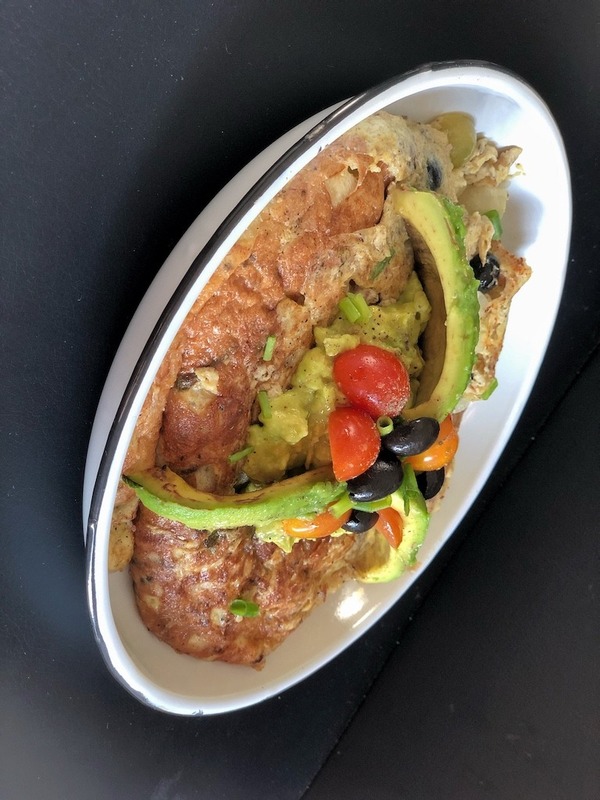 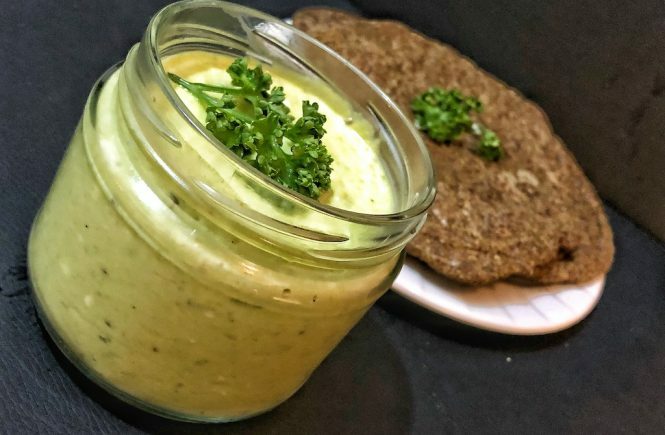 Transfer omelette on the plate and add homemade avocado dip optionally, I love it because it makes omelette a bit creamy. 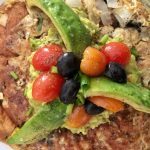 Slice avocado, a few tomatoes and a few olives. 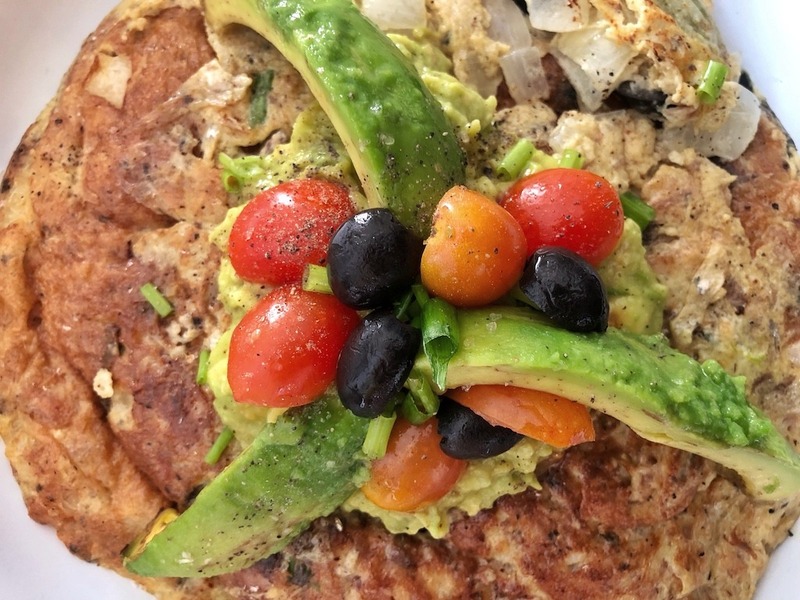 Decorate top with sliced cherry tomatoes, a few sliced olives and chopped spring onions. 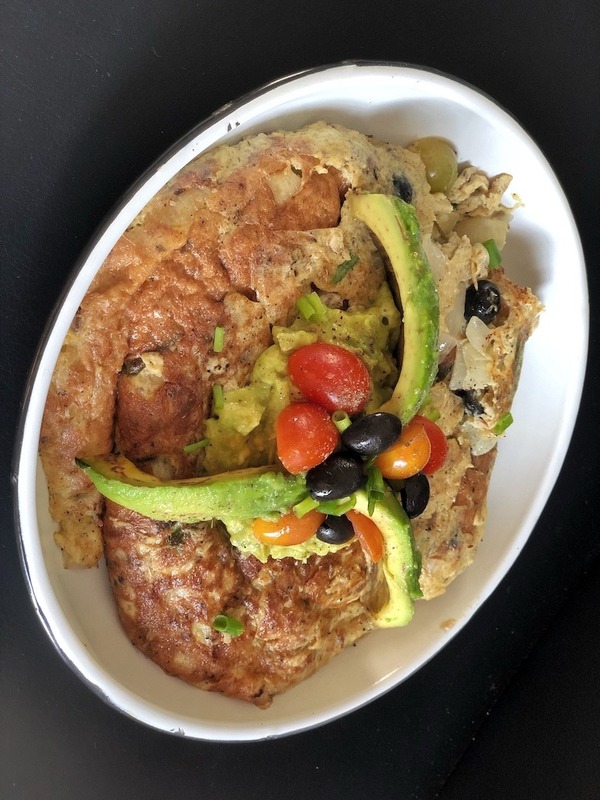 The omelette is big enough for two people but it can be served for one as well. 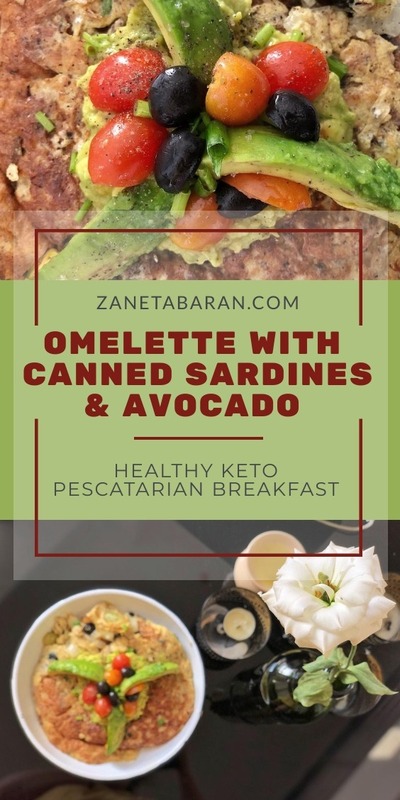 Since I have seen that most of my readers end up here because of one of my old recipe with sardines, I decided to share with you a little bit more ideas how you can use canned sardines. 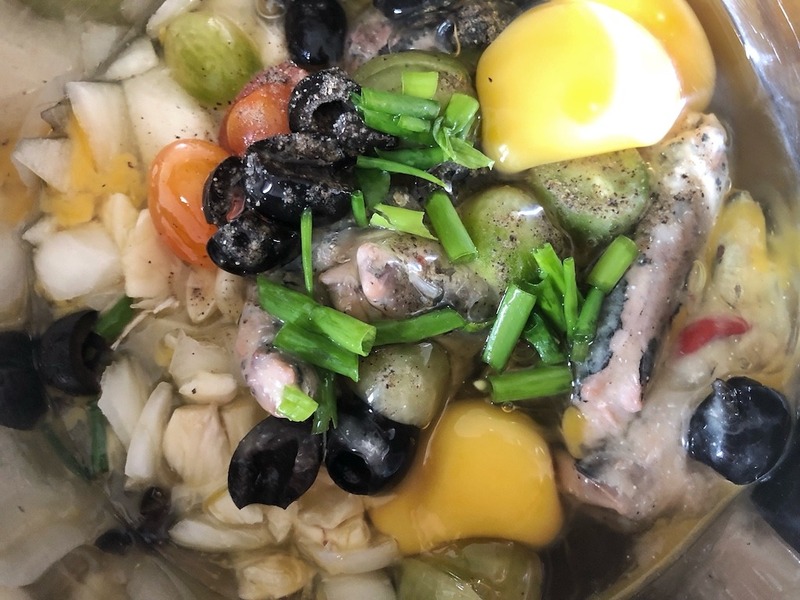 It is actually perfect timing since we came back to our old routine when we eat sardines as our first meal. 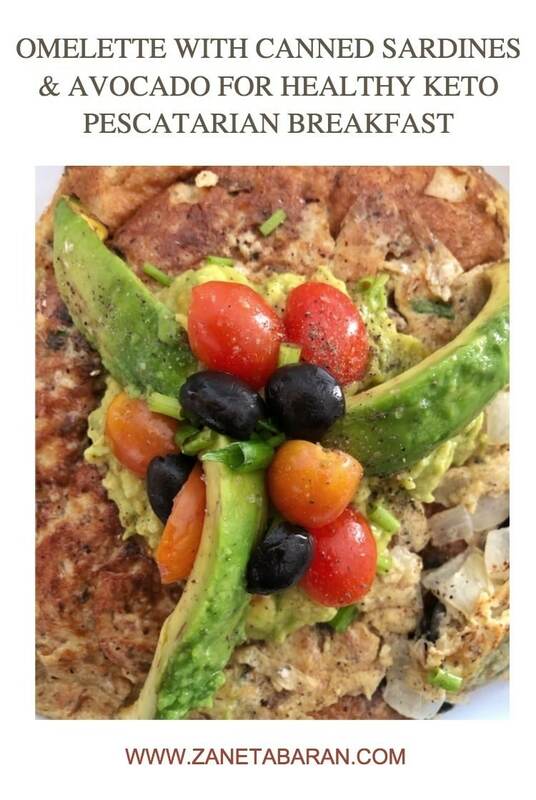 In this case, I need to be a little bit more creative to not eat the same simple dishes every day. 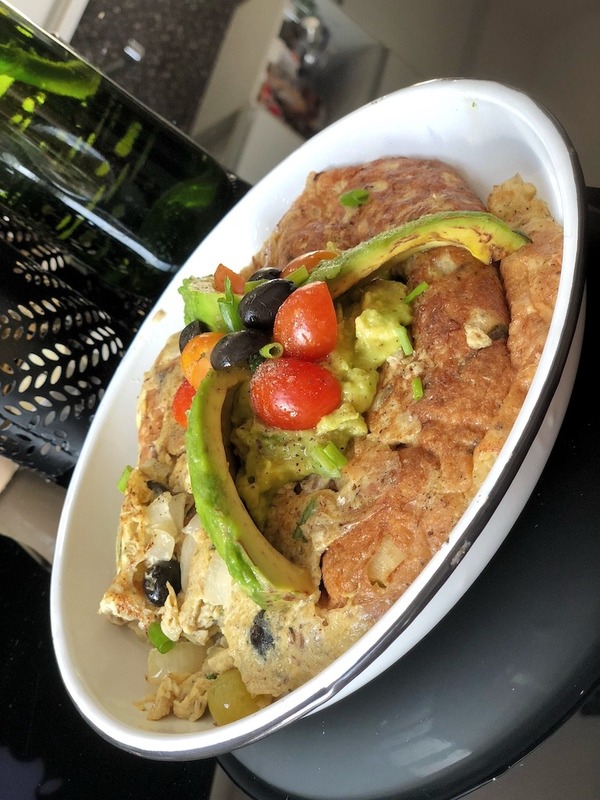 Today I would like to share with you my last night dinner – omelette with sardines and avocado. 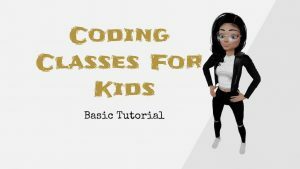 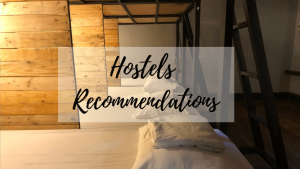 Let me know in the comments what do you think!